Independent medical evaluations (also known as “independent medical exams” or IMEs) are important medical AND legal documents. That’s why it’s vital you choose IME transcription services that you can truly trust. Elite Office Solutions provides fast, accurate IME transcription services for clients across the United States. Our transcriptionists are trained in both medical and legal transcription, so we understand the needs – and the terminology– from both sides. We take the time to get it right, and if our transcriptionists ever have a question, our Quality Assurance Managers are available to support them. Why Send Your IME Transcription Projects to Elite? Turnaround is 48 hours for most regular-sized projects, and rush service is also available when timelines are tight. Customer service is one of Elite’s pillars. We ensure our clients are happy with every single transcription project we complete for them. Elite is a 100% owned and operated US company. All your transcripts will be completed here in the United States (where our privacy and other laws apply) by native speakers of American English. Not only does that mean increased accuracy, it also means your sensitive information is never sent overseas. Elite can format your completed IME transcript using your letterhead or other template. We also provide medical scribe services, virtual assistant services, marketing services, and other services that small offices — and small businesses — need. Elite provides transcription for related reports as well including Qualified Medical Evaluator (QME) reports, impairment reports, and permanent & stationary (P&S) reports. Elite exceeds the industry-standard 98% accuracy level. Plus, our transcriptionists are well-versed in medical AND legal terminology – we know the difference between oral and aural. Our transcriptionists have years, and in some cases decades, of experience with IME transcription. Elite’s staff is well-versed in HIPAA practices and compliance. We tailor our services to your workflows rather than expect you to work around ours. We accept almost any type of audio file from digital recorders, PCs, and cell phones, and can return your completed text in almost any file format. We even have a toll-free number you can use for phone dictation of letters or other documents. 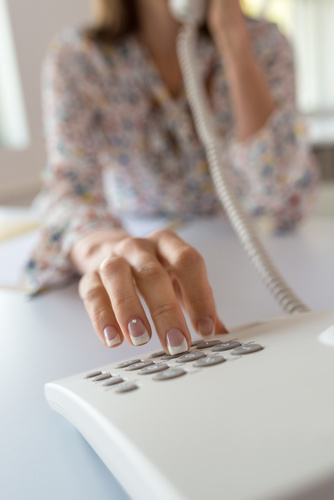 Elite provides several dictation options including transcriptions from any type of audio file and direct dictation through our toll-free number. We return your completed documents in any format, too — we can even add it to your letterhead or other document template. Contact Elite using the email form below or call us directly at: 800-977-8973 | 215-491-0400. We’ll provide you with the fast, accurate IME transcription services you need. Find Out How Elite’s IME Transcription Services Can Help with Your Transcription Needs!